We are America's premier fresh diet delivery service offering the most effective, convenient, and enjoyable meal program delivered fresh to your doorstep early each morning! Our programs are based on Paleo, Keto, Zone and other popular and effective dietary philosophies. Every morning, our delivery personnel will deliver all of your freshly prepared meals. We won't need to ring the bell and disturb you but you'll find our insulated cooler waiting outside on your doorstep every morning. Our meals are delivered on ice but NEVER FROZEN. Your meals will be prepared just for you, in accordance with your dietary requirements. As well as preparing meals that are consistant with your dietery needs, we'll also consider your personal food preferences, your height, weight, age, activity level, and significant medical history in designing your personal menu. Every client receives a program tailored just for them by our experienced nutritionists. What if there are foods I don't like? The program is completely customized to your personal food likes and dislikes. Upon your enrollment, we'll ask about various ingredients and cooking styles and eliminate anything you don't like from your program. For example, if you don't like asparagus, salmon and pastrami, we would ensure that you never received those items. Due to the unique and highly customized nature of our fresh food nutrition programs all sales are final. We encourage new clients to try our shorter duration trials to make sure that our programs meet your needs. Our clients are overwhelmingly satisfied with the quality and effectiveness of our programs. Should you wish to try one of our trial programs, please be aware that you may elect to covert your trial into a full program within the first 7 days of delivery. In the event you convert your trial program you will be prorated into a full program and your daily rate will be retroactively adjusted as if you had purchased a full program initially. We can accomodate most clients with special dietary needs. Clients with high blood pressure, diabetes, high cholesterol, gluten sensitivities, allergies, diverticulitis and certain other conditions will require that we make adjustments to the program. And now for our disclaimer: You should advise your nutritionist of these conditions when you enroll. It is very important that we stress that our programs are non-medical and non-diagnostic in nature. None of the information we provide is intended to replace the advice of a medical professional. We are nutritionists and not doctors! (end of disclaimer) All kidding aside, we would never want you to jeopardize your health in any way. We work with many physicians who send us their patients and most doctors like having their patients on our programs but you should always listen to the advice of your doctor. How can I speak with a nutritionist? When you call, your call is promptly answered by a nutritionist -- not a sales representative, customer service agent or switchboard operator. Because we are staffed and operated by nutritionists you will always be assured that an experienced professional will be available to work with you. 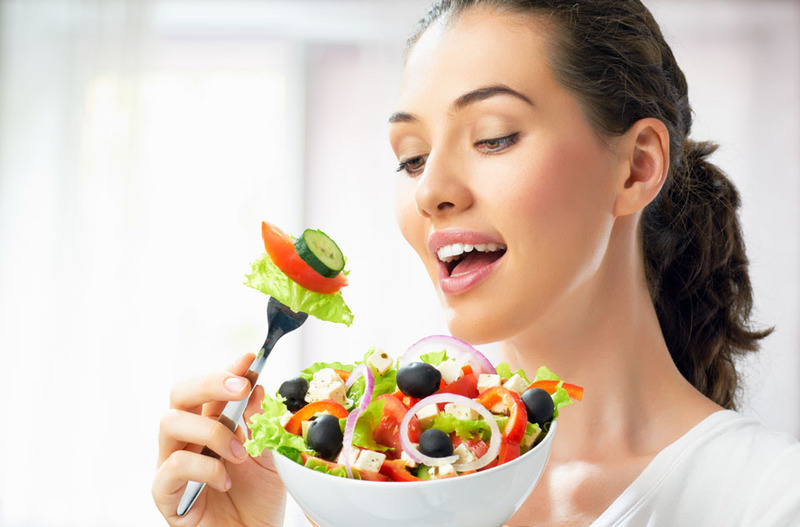 Additionally, when you become a client, one of our senior nutritionists will be assigned to you as a coach. Your coach will have direct responsibility for your profile and will oversee your program, monitor your progress, and provide support whenever needed. Our meals are designed to be microwaved and come in their own microwaveable dishes. But please don't confuse our fresh food with frozen entrees you may find at your supermarket. Our meals are freshly prepared and never frozen -- these are not TV dinners. Although due to differences in microwaves heating times can vary slightly, most meals will require 1 to 3 minutes in a typical microwave oven on HIGH. Conventional ovens may also be used for heating but this will require transfering the meal to an oven safe container before heating. We request that if you need to change your delivery schedule for any reason you provide us with a 3 business day notice. We will suspend the deliveries for any days you request to have "off" and those days will automatically be added to the end of your program. Do you offer any discounts for more than one person in a household? Yes! You'll get a $2.00 per day discount off the regular price for each additional person who does the diet at your address with you! For example, if a husband, wife and daughter were to all do the program, the first client would pay the regular price, the second would get $2.00 off the regular price and the 3rd would get $4.00 off the regular price! We base your portion size on your height, weight, age, activity level and other variables that your nutritionist will ask you about during your intake interview. In the unlikely event that you are feeling hungry, its important that you let us know about this so that we can adjust your portion size. In the years we have been providing this service, we've learned that it is actually more detrimental to your success to under feed you than it is to slightly over feed you. You should never feel hungry on our programs. Do I get anything for referring friends to the program? If you refer somebody to the program and they give us your name at the time of signup for their first month of service, you'll get a free day of service for your help in letting people know about the great programs we offer. We obtain about 60% of our business from word of mouth. Do I have to do the program 7 days per week? Do I need to add fresh fruits and vegetables to the program? No. Unlike other programs that deliver some of your food but require you to purchase your own fresh fruits, vegetables and other items our programs are 100% nutritionally complete. Because your meals are prepared fresh and never frozen or freeze dried, we include delicious fresh salads, vegetables and a wide variety of fruits on the program. There is nothing for you to add except beverages -- and we recommend lots of water! We will never charge your credit card without your permission. We won't automatically renew your program. Before your last day of paid service, a staff member will contact you to remind you that your program is coming to an end and determine if you intend to continue the program. As our company continues to experience growth and success we are always looking for talented individuals to join our team. Opportunities exist for delivery personnel, nutritionists, and kitchen staff. We also have an independent representative program that allows you to earn commissions by helping to introduce new clients to our programs. Simply call, email, or text at least 3 business day before you leave. You won't miss a single day of your program because we'll resume delivery upon your return and issue credit for the days you were off. You can also log into our account management system to change your delivery schedule at will, 24 hours a day.